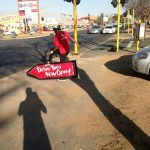 What benefits are there in using sign spinners for street promotions? 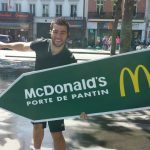 Can sign spinning bring more people in store on a street marketing promotion? Many people have said that the streets are paved with gold and that money walks on streets. This is ABSOLUTELY true in all senses in that people and footfall that walk on the High Streets or Main Street of any City are spending money in different stores and shops. 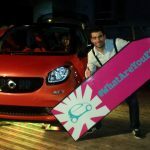 Many marketing agencies and brands use so many different techniques to entice and encourage people to go in store and spend money in order to increase sales. 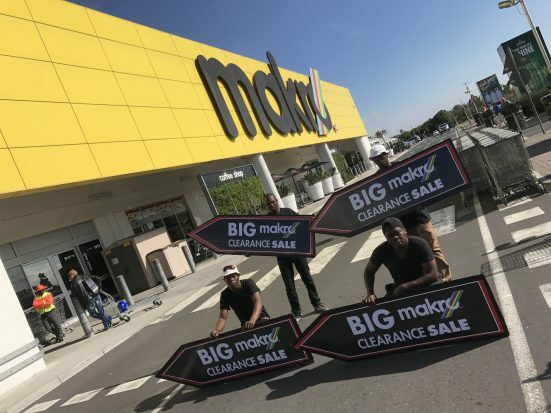 Street promotions using sign spinners has proven highly successful and increased sales within shops and stores by between 35% to 50% on the days that sign spinners are used for street promotions. The objective of any street promotion is to attract attention in order for people to spend money. It is scientifically proven that a moving object or in this case a sign been spun is 50% more likely to be seen than a static one. This is also evident in the fact that 40% of advertising billboards are now becoming digital and the digital adverts that appear on these billboards can have movement implemented ro them in order to attract more attention to that specific billboard. 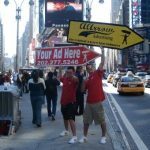 Street promotions using sign spinners have proven and been extremely popular in the USA, South America, Europe, Australia, South Africa and parts of Asia. 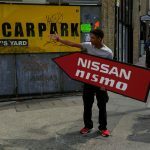 Small and large brands such as Subway, Mazda, Just Eat, Pizza Hut, Nissan and high street shops and restaurants such as pizza take aways, hair salons, housing estates and gym clubs have all embarked on street promotions using sign spinners. 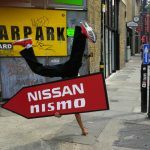 So to sum everything up street promotions using sign spinners have proven to increase footfall into any shop, restaurant or store. They have not only increased football but also increased sales and generated more profits on a daily taking. 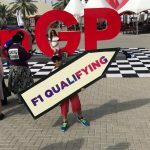 For more information on how you can book a sign spinner for a streets promotion please contact. This entry was posted in Entertainment, Streets Utd News. Bookmark the permalink.